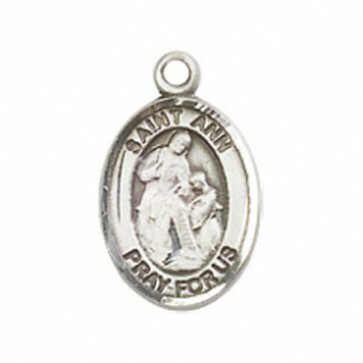 St. Ann Pendant. The medal measures 1/2 x 1/4 and is available in Sterling Silver on a 18SS Chain, Gold Filled on a 18GF Chain and 14 Karat Gold - No Chain. 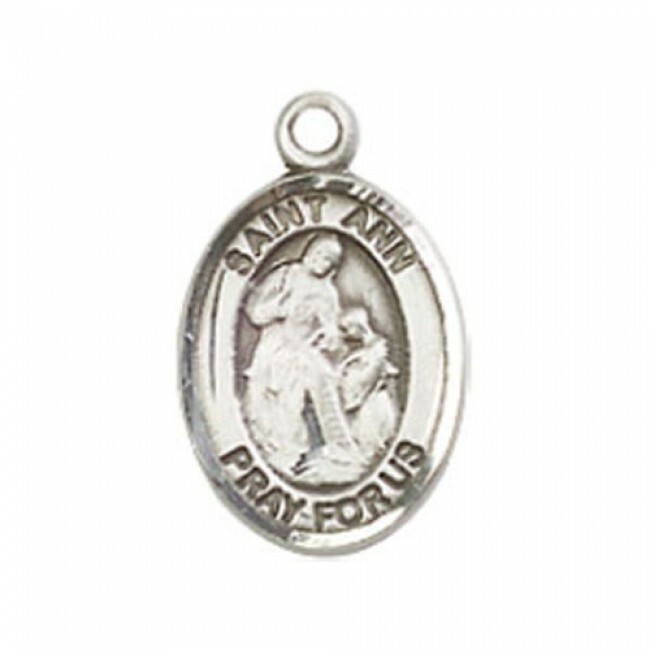 St. Ann is the patron saint of Housekeepers/Mothers. The name Ann means gracious one. 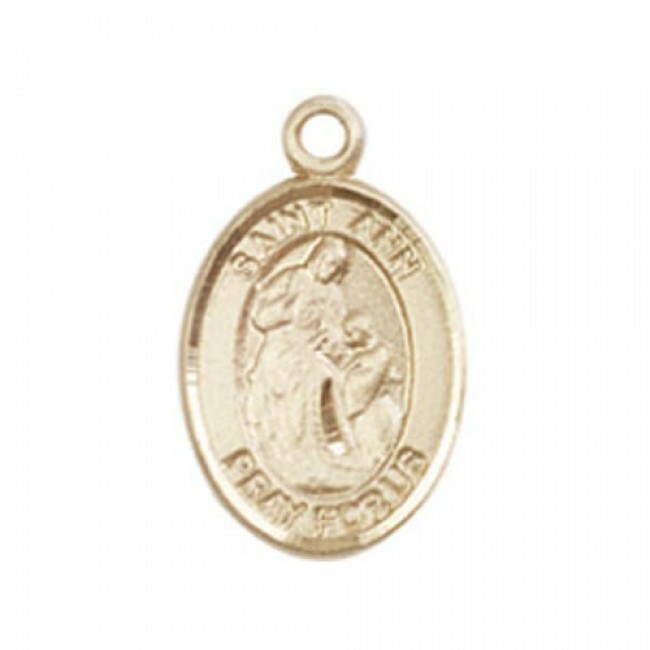 St Ann/Anne was the Mother of Our Lady and the Grandmother of Jesus Christ. Wife of Saint Joachim. Probably well off. Tradition says that Anne was quite elderly when Mary was born, and that she was their only child. 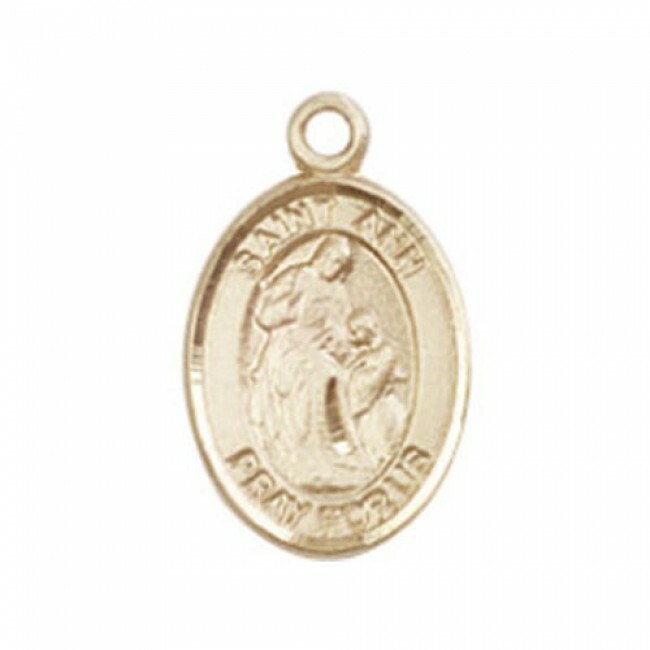 It is believed that Anne remained a virgin in the conception and birth of Mary.